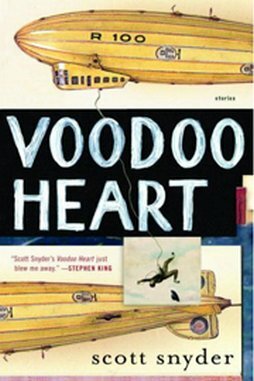 This story collection, Snyder’s first book, earned notable fans—Stephen King and Rick Bass—as well as humble me, after reading Voodoo Heart in hardbook, in June 2006. This month, the paperback hits bookstores. Paste rarely reviews a book after its original month of publication, but my book editor’s conscience, guilty for overlooking this fine collection, has squawked a whole year now like a blue macaw. Here’s make-do. Snyder writes in “Blue Yodel” of a broken-hearted searcher, an Ahab of the asphalt, who drives cross-country searching for a blimp bearing his runaway lady. In the title story, a couple buys a house by a women’s prison, then spies on a famous murderess through a telescope. “The Star Attraction of 1919” offers the romance of a barnstorming pilot—and a kind of romance on the ground in a puddlejump town. Snyder’s fictional folk are tenderhearted, funny, ugly and rewarding. We meet them courtesy of a young writer who is simply too good to be overlooked for long.